We created this website to provide you with general information about a variety of criminal offenses prosecuted at the courthouse in Brooksville, FL, in Hernando County. The website contains information on the maximum and minimum penalties, collateral consequences to avoid, and the most effective defenses to fight the charges. The articles on this website also discuss motions that can be filed to suppress illegally obtained evidence, exclude unduly prejudicial evidence, or dismiss charges not supported by sufficient evidence. If you were arrested in Hernando County, FL, then you need a criminal defense attorney who will fight the charges aggressively. The criminal defense attorneys at Sammis Law Firm represent individuals charged with a felony, misdemeanor or DUI offenses in Brooksville, Hernando County, FL. At Sammis Law Firm, P.A., we understand that your time is valuable. Call today to schedule a consultation to speak directly with a criminal defense lawyer for Brooksville, Hernando County, FL, either over the phone or in the office today. We take a scholarly approach to criminal defense by filing and litigating motions to dismiss charges and motions to suppress evidence, which is often the best way to fight the criminal accusations. Call (813) 250-0500 to speak with an attorney about the particular facts and circumstances of your case. 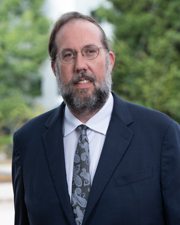 The Honorable Daniel B. Merritt, Jr., Circuit Judge of Hernando County, FL, is assigned half of all felony cases and all of the juvenile delinquency cases. The other half of the felony cases are assigned to the Honorable Stephen E. Toner. The Honorable Donald E. Scaglione and The Honorable George G. Angeliadis, Circuit Court Judges, are assigned case in problem-solving courts including Veterans’ Treatment Court, Drug Court, and Mental Health Court. The Honorable Don BarBee, Jr, Circuit Court Judge, is assigned all injunction and temporary restraining order cases including domestic violence, repeat domestic violence, sexual violence, stalking and dating violence restraining orders. The Honorable Kurt E. Hitzemann, County Court Judge, is assigned one half of all criminal mischief cases city, county, and municipal ordinance violations. The other half of those cases are assigned to the Honorable Kristie M. Rupee, County Court Judge. 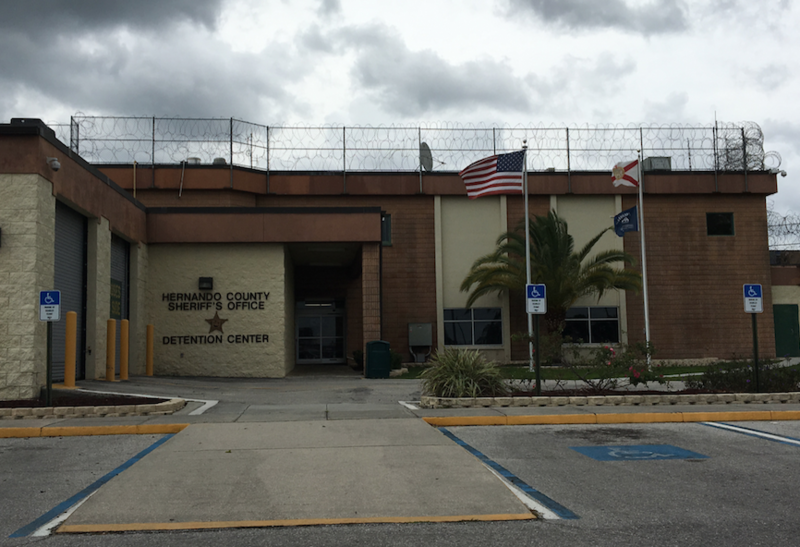 Judge Hitzemann and Judge Rupee are also assigned first appearance hearings in Hernando County, FL, which are conducted by the two county judges on a rotating schedule. 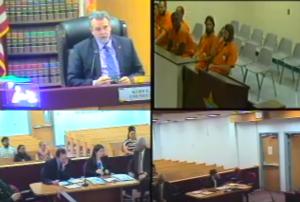 You can watch the First Appearance Court hearings in Hernando County on YouTube. First appearance court is held 354 days a year, even on weekends and holidays. Most of the first appearance court hearing are presided over by Judge Rupee and Judge Hitzemann. If you have been charged with DUI in Brooksville, FL, contact an experienced DUI Attorney at Sammis Law Firm to discuss your case. In 2017, there were 373 DUI arrests in Hernando County, FL. After your arrest, you only have 10 days to retain an attorney to demand a formal review hearing to contest the administrative suspension of your driver’s license. We can also help you obtain a 42-day permit so that you can keep driving while we fight to protect your driving privileges. Some attorneys might tell you to waive all your rights and stipulate to the DUI suspension just to get hardship privileges immediately, but call us to find out the pros and cons of this approach. 3,373 offenses for miscellaneous arrests. Hernando County DUI Attorney – Find out more about defending yourself after an accusation of DUI in Hernando County, FL, including DUI refusal and DUI cases with a high breath test reading on the breathalyzer used in Florida called the “Intoxilyzer 8000.” Information on everything from the first DUI through more serious cases for DUI with property damage or personal injury. Hernando County Clerk’s Office for Criminal Cases – Click here to find out more information about your particular felony or misdemeanor case in Hernando County through the clerk’s office including upcoming court dates, recently filed pleadings and information about your judge or prosecutor. Hernando County Clerk’s Office – Search Traffic Infractions – Search here for information about a traffic ticket in Hernando County using either your name or your citation number, including upcoming court dates, outstanding fines, and other information. Hernando County Sheriff’s Office – Click here for information about who has been arrested in Hernando County, arrest photos, inmate search, including pending criminal charge and other information about the case. 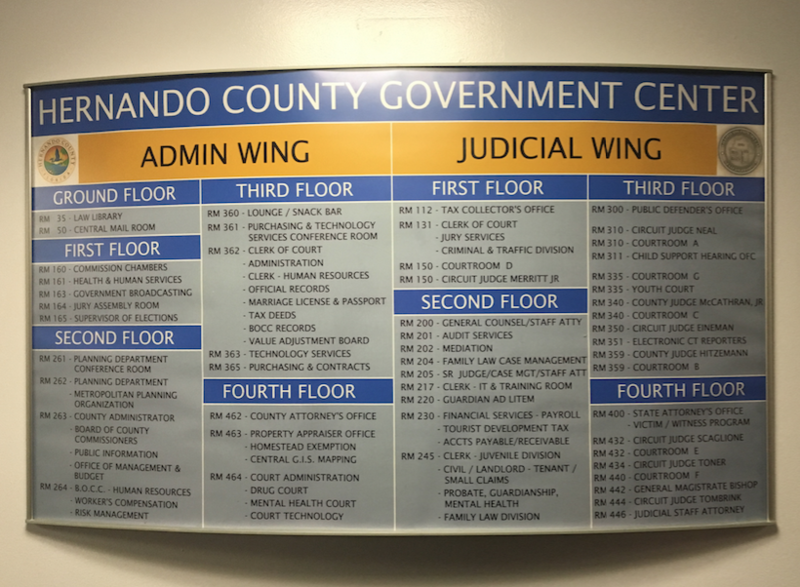 The Law Library in Hernando County, FL – The Hernando Law Library is located in Room 35 of the Hernando County Governmental Building located at 20 N. Main St. in Brooksville. The law library in Hernando County, FL, has two terminals set up in the library with access to WestlawNext Patron Access, which is a free service. A printer is available for patrons to use with a cost of $.15 per page. The office hours are Monday through Friday from 8:00 a.m. to 5:00 p.m. If you have been arrested for a DUI, felony or misdemeanor offense in Hernando County, Florida, contact an experienced criminal justice attorney at Sammis Law Firm to discuss the details of your case. Our main office is located in Tampa in Hillsborough County FL. We have a second office located in New Port Richey in Pasco County. We also fight cases throughout Hernando County, FL, and the surrounding areas in and around Brooksville, FL. We provide a free and confidential consultation to discuss the case. Let us put our experience to work for you.